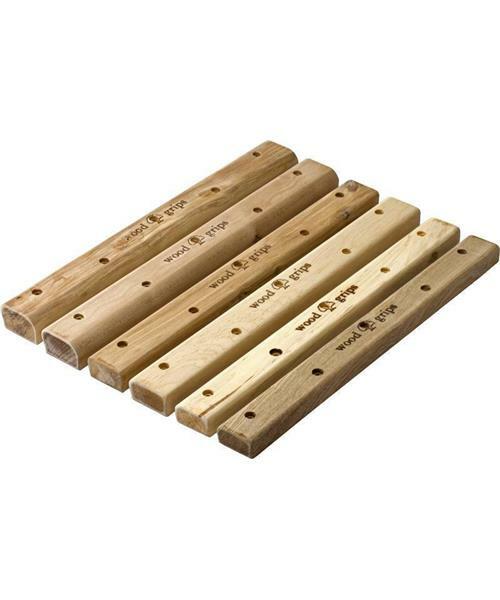 Custom tooled, wooden rungs that are unsurpassed for feel and consistency. Individually hand sanded and pre-drilled. Rungs have an incut side and a flat side. Includes a detailed guide for construction and training, and mounting hardware.